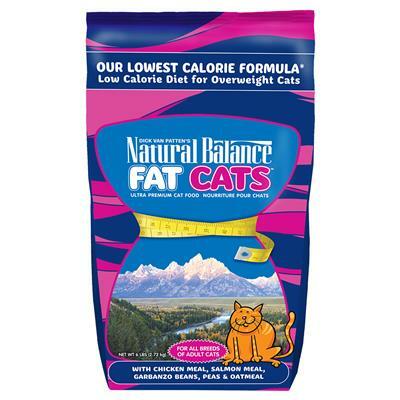 Help your overweight kitty slim down with the Natural Balance Fat Cats with Chicken Meal, Salmon Meal, Garbanzo Beans, Peas & Oatmeal Dry Cat Food. Formulated with lower calories, it supports a healthy weight for your cat without skimping on the flavors he craves and the nutrition he needs to thrive. That’s why every crunchy bite is loaded with tasty protein like chicken and salmon to nourish active muscles, and fiber-rich garbanzo beans, oats and peas that are filling to keep your kitty feeling satisfied after meals for longer. Plus, it contains all the nutrients your pal needs to look and feel his best! Lower calorie kibble is formulated to support a healthy weight for all breeds of adult cats. Made with high-quality proteins with chicken meal as the first ingredient, plus salmon and pea protein to support active muscles. Loaded with fiber-rich ingredients that increase satiety and prevent excess begging by helping your pal feel fuller for longer. Supports overall well-being with vitamins, minerals, omegas and taurine to help support healthy eyes and heart. 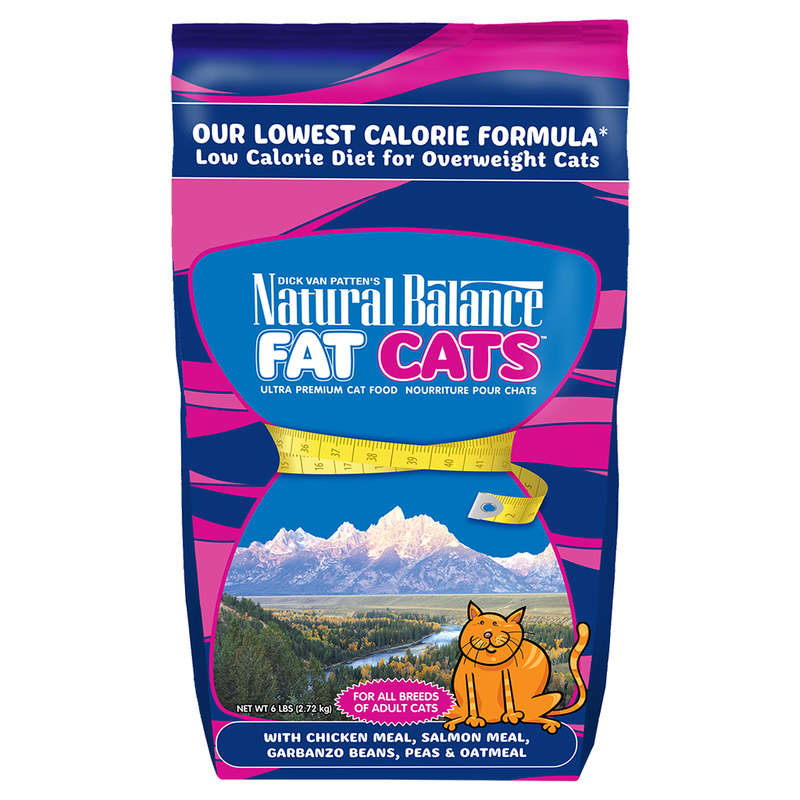 Made with no artificial flavors or colors and provides a complete and balanced diet for overweight cats.